McDonald’s is no longer a distinct company name. In some parts of the world, when people say let’s go to a McDonald’s, they may not be referring to the actual McDonald’s but any other fast food restaurant. McDonald’s exemplify the best of what fast food is all about. There is no stress in McDonald’s because you know exactly what you’ll get. The quality of their burgers is the same in whatever city, state or even country. If you are in a foreign land and you want something familiar so you won’t miss home that much or you don’t want to be too surprised or least disappointed in any other local restaurant, McDonald’s will always feel like your back home. What other restaurants think is good customer service could be pressuring. For instance, some waiters go around and keep on asking you over and over if you need anything else, after a while it’s as if you are being pressured to order some more. Or you are being forced into a smile. In McDonald’s, once you have said your piece at the counter, you are left alone to eat your meal and finish it as fast or as slowly as you want. They’ll only bother you if you are obviously choking or having a convulsion. McDonald’s is usually the last one to close anywhere. Most of the time there is one close by that doesn’t close at all. Not all McDonald’s work on a 24 hour basis but at least they will make sure that there is a 24/7 McDonald’s that’s accessible in the major cities of every country. Imagine being anywhere hungry with your tummy growling at 2 AM. There will be a McDonald’s nearby ready to serve you. Even if you don’ have plans of eating and you’re just stuck outside in the cold, there is always a McDonald’s that will serve you hot meals. 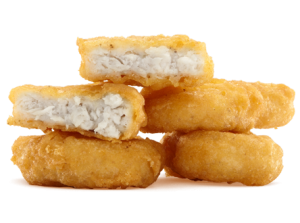 McDonald’s is very clever in sticking to the basics of what makes food tastes so good; salt, fat and sugar. McDonald’s have all of these in abundance, burgers, fries, sodas, sundaes. What more can you ask for. The Big Mac covers about everything satisfying. We are not talking about health here, just pure enjoyment and everyone deserves that at least once or twice a week. Let’s just assume that McDonald’s also wants us just that few times as they are also concerned with our health. That’s the whole problem with obesity. Can you blame McDonald’s for having their burgers taste so good that people can’t get enough of it and overeat. If you’re in New York and you want to play it safe meaning you don’t want to be insulted by refusal of service due to the value of your order, then go to McDonald’s and they’ll treat you like the way the McDonald’s crew does in your hometown. You don’t have to panic when it’s your turn and you have not yet decided on what to order. McDonald’s New York will wait a minute longer until you decide. That’s a privilege no other restaurant can give you in the Big Apple. When you can’t think about any particular thing to eat or having a hard time deciding, that means McDonald’s.